You can’t beat a vacation spent sipping sangria beachfront with a plate of fresh fruit and tapas set in front of you. This sounds like the recipe for the the setting of your newest TV obsession, or better yet, your next summer vacation. In Barcelona, the capital of Spain’s Catalonia, you’ll explore the infamous Sagrada Familia Church, beautiful sand beaches and of course, the FC Barcelona. Your only source of stress will come from not knowing where to start. These 10 things to do in Barcelona will have you feeling like a local right away. Start off your vacation zooming down shaded, hidden alleys or pedaling lazily across Playa Barceloneta’s famous beachfront promenade. 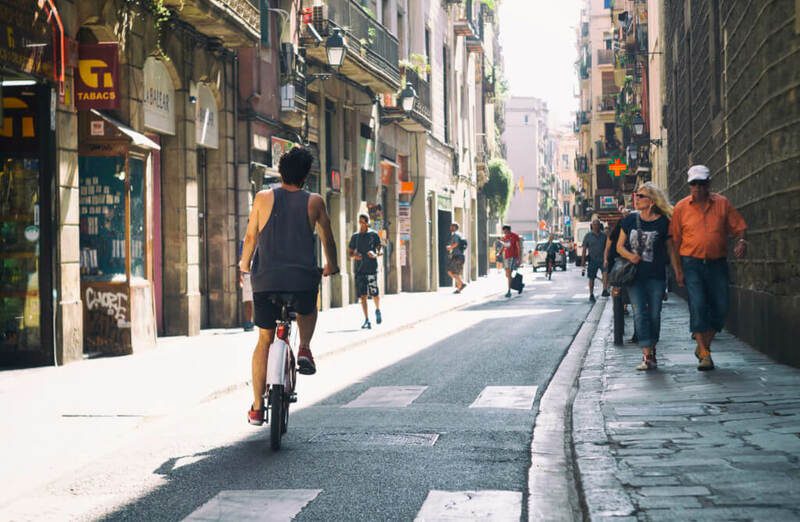 Not only will you save yourself some steps by exploring Barcelona’s wandering cobblestone streets via bike, you’ll also have an experience you won’t soon forget—and maybe even the perfect shot for the ‘gram. “I loved being able to bike around Barcelona,” said University of Vermont Senior Sydney McIntire. “I was able to bike around the boardwalks on the coast, to Poble Espanyol, Casta Batilo, Park Guell, Casa Mila and throughout the Gothic Quarter. There is no doubt that I wouldn’t have been able to see as much as I did within four days if I hadn’t rented a bike.” For the perfect Catalonian cycling experience, we’d recommend Fat Bike Tours. Their affordable pricing (hello, student discount) and friendly staff make them the perfect starting point for planning your Barcelona adventure, and they manage to pack in nearly the entire city and a delicious sea food lunch in only two hours. If you have a free afternoon, soak up that famous Barcelona sun with a good book in Parc de La Ciutadella, one of Barcelona’s largest greens. The park’s located right between the Arc de Triumph and the City Zoo, making it a great place to take a break from a heavy day of sightseeing but still pack in a few more landmarks to your day. Pro Tip: Pack a picnic lunch or pick up some cava and tapas and munch while you dive into your favorite new novel. Not sure what to read next? If you really want to dive into some Spanish literature, check out Jessie Burton’s The Muse, a tale of a forgotten Spanish painter from the 30s and the unlikely hero who helps rediscover her in 1960s London. Or, if that doesn’t make you want to head to Barnes and Nobles immediately, check out Gabriel Marquez’s Love in the Time of Cholera, a non-traditional love story full of secret romances and fascinating twists and turns. Barcelona sun shines for more than 310 days a year, but that doesn’t mean clouds don’t come every now and then. 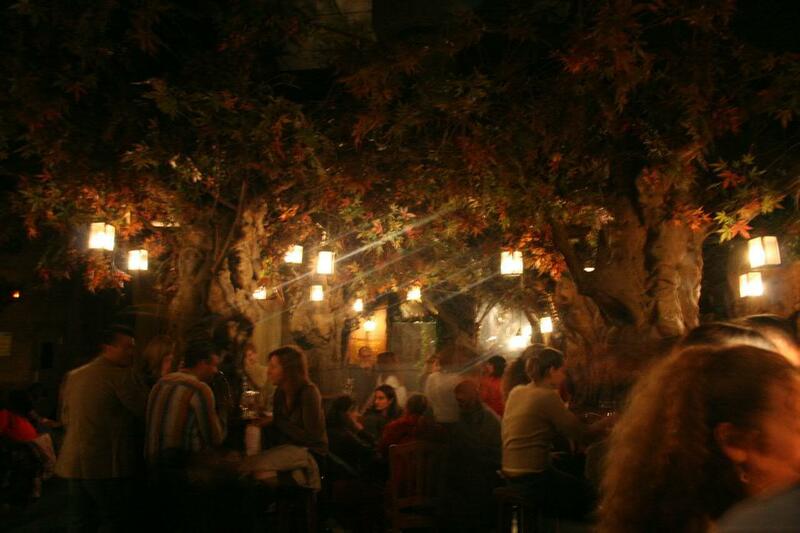 If it looks like you’ll have to grab your umbrella rather than your sunglasses, spend an afternoon getting drinks in the wacky little El Bosc de les Fades, an otherworldly bar conveniently located in the heart of the La Rambla area. Think a collab between Rainforest Café, Madam Tussad’s and Once Upon a Time, complete with hidden wax figurines and fairytale-themed drinks. “It’s amazing, even if you go in just to take a look,” said Cardiff University student Angaharad May. “It’s like an enchanted forest and it’s all dark, then occasionally the ceiling lights up with fake lightning. It’s weird, but pretty cool.” Not your cup of tea (or glass of sangria)? The La Rambla area has tons of hip bars and cocktail lounges, so finding the perfect spot to sip on a mojito or order cava just takes a short wander down the winding streets. Fancy a day away from the city? Join the thousands of visitors who’ve made the pilgrimage and take a cable car to Montserrat, an ancient monastery tucked high in the Catalan mountains. Start at the museum and get acquainted with the site’s history (and see a few Dali’s and Monet’s along the way) before walking the vast gardens and taking a break for an espresso in the monastery’s café. Of course, you can’t miss out on the monastery itself, which houses the famous Black Madonna statue from the 12th century. If you like to hike, take one of the several funiculars, a cross between a train and a cable car, to the top of the mountain and check out the trails, all of which have sprawling views of the lush green valley below. We’d recommend getting the all-inclusive Montserrat Travel Card so you can enjoy all of what Montserrat has to offer without having to worry about keeping track of a bunch of individual tickets. We’re not just recommending this place because Victoria Secret models frequent it when visiting the city. With multiple locations near the Gothic Quarter and in the trendy shopping district of La Rambla, Flax and Kale has quickly made a name for itself as one of the hippest, healthiest restaurants in Barcelona. 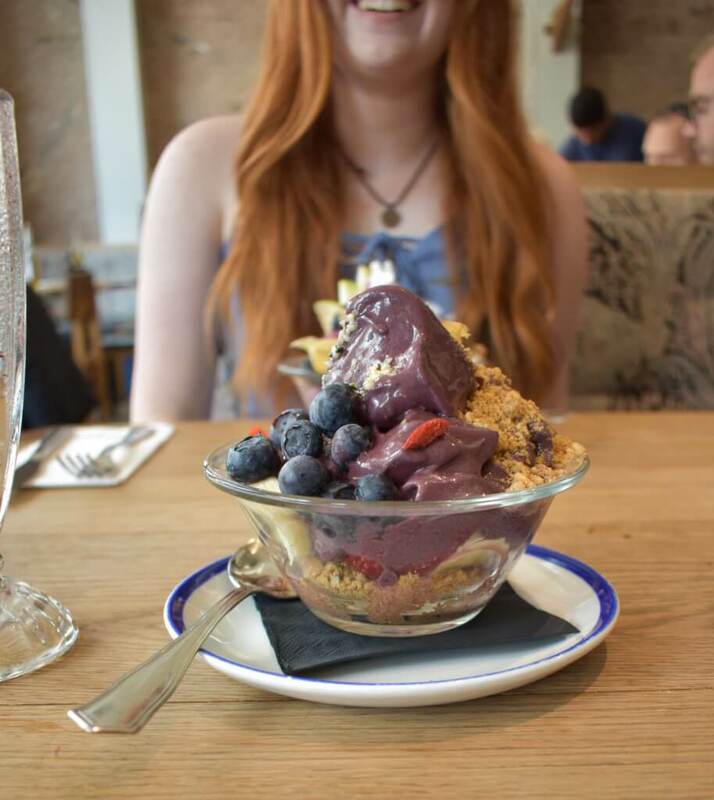 Their menu is almost exclusively vegan, but their colorful, towering acai bowls will delight even the pickiest of eaters. Their pink pitaya bowl will make for the perfect Insta story, guaranteed. Make sure you make a reservation in advance, as tables can fill up quickly, especially in the summer months. Want to make all your friends back home jealous? The colorful mosaics of Parc Guell are serious #travelgoals. Famous Barcelonian architect Gaudi dreamed up the designs for this park. The park features a forest of Roman-inspired columns that supports a winding ceramic bench that gives tourists a view of the whole of Barcelona. 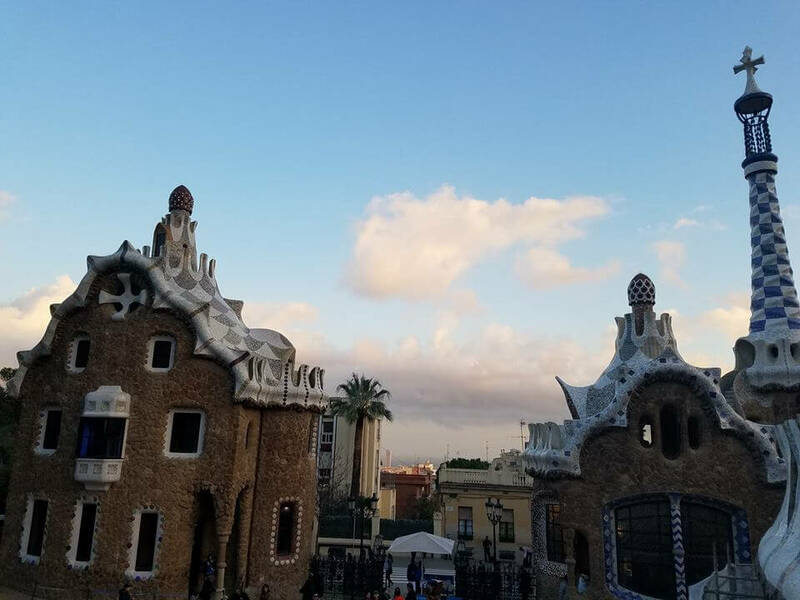 “It’s definitely the best Insta spot in Barcelona,” said University of Wisconsin-Madison Senior Jackie Chang. “All the pretty colors of the park go perfect with C1 as a filter.” Keep in mind that entrance to the monumental zone, where you’ll find the weird and waacky winding bench and a life-size dragon statue that even Dali approved of, requires a ticket that often books well in advance. Definitely book a few days beforehand if you want to guarantee you and your friends a spot. You can’t say you really experienced Barcelona without sampling one of its most famous dishes, paella. Paella is a traditional Valencian dish made from rice and a rich seafood broth. “It would be a shame to go to Barcelona and not try the traditional Spanish rice dish at least once,” said Mcintire. “You could legitimately find hundreds of varieties of Paella throughout the city, vegetarian and vegan options included.” We’d recommend the Xativa. 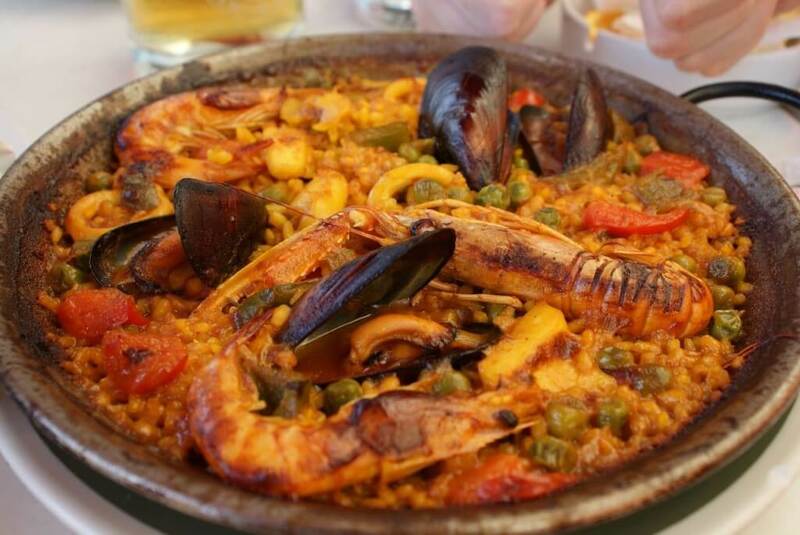 Their menu has over 30 different types of paella, meaning everyone can fall in love with the dish. “My favorite was the vegetarian Valencian Paella made with sofrito and mixed vegetables. Perfect with a glass of red wine,” said McIntire. Feel like partying it up offshore for a few hours? 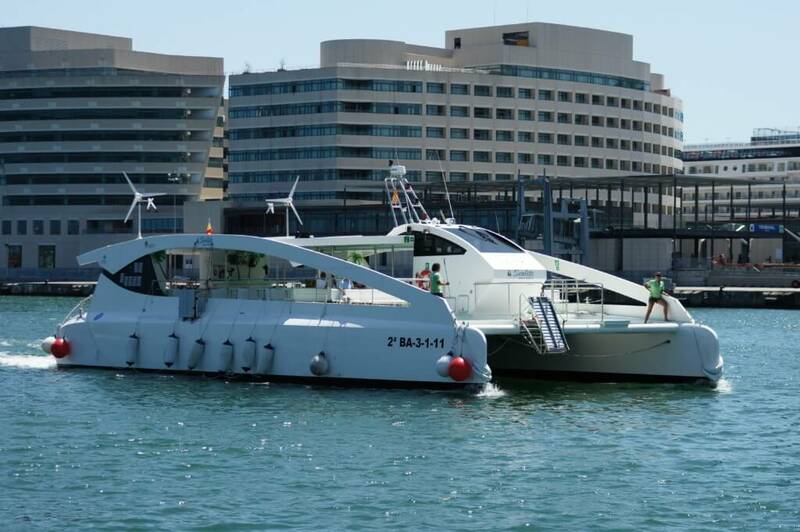 Before you hit the bars or the club scene at night, look into booking a catamaran and spend a few hours sailing the crystal blue waters off of La Playa de Barceloneta. You’ll feel like T-Swift and her girl gang hanging out in a yacht and sailing past the ritzy waterfront. Most rides take at least an hour, but some companies will take you out for the better part of the afternoon and even serve unlimited sangria on board. And the best part? It doesn’t have to hurt your wallet, meaning more cash for drinks or gelato later. Check out this rental service, whose tours start at just $8.00. Still want to get out on the water, but not feeling a boat rental? The pier off of Barceloneta offers plenty of other options. Channel your inner Little Mermaid and grab some snorkel gear or consider renting a paddleboard or a pair of jet-skis for the perfect day out on the water. If you really want to eat like a local, grab tapas for lunch at Bar Celta Paperia in the young, bustling El Born quarter. This authentic little joint full of locals (no English spoken here!) blesses Barcelona with delicious offerings like Octopus a Feira, their signature boiled and spiced octopus caught right from the nearby harbor. If you’d like your food a little less, well, squirmy, Bar Celta also has a whole wall of other options (literally), like empanadas, chorizos and croquettes all prepared by hand in the open-view kitchen. 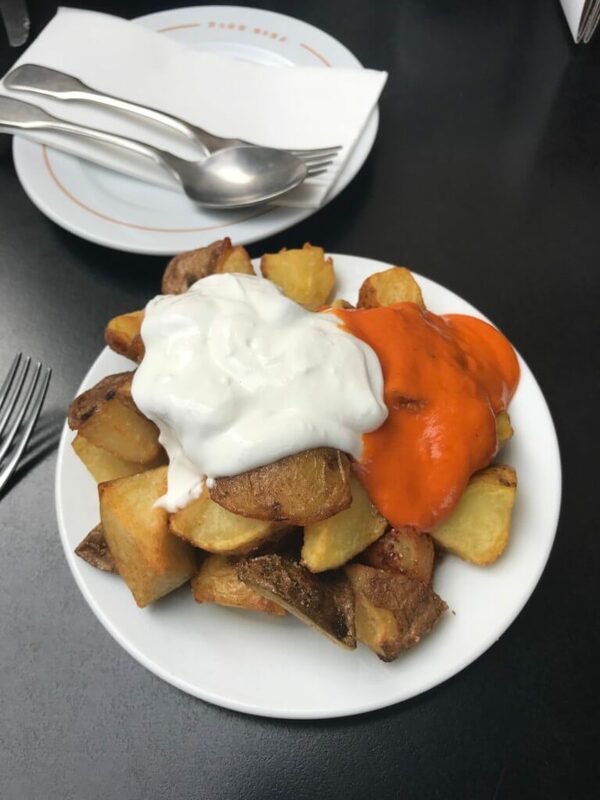 Vegetarians, worry not: Their patatas bravas, fried potato wedges with mayo and special spicy bravas sauce, taste like French fries on crack and could satisfy even the pickiest of palettes. Plus, the prices won’t scare you out of the city either. Enjoy with a glass of cava or a more traditional Spanish beer, like Estrella. Bonus points if you can order in Spanish without slipping up. 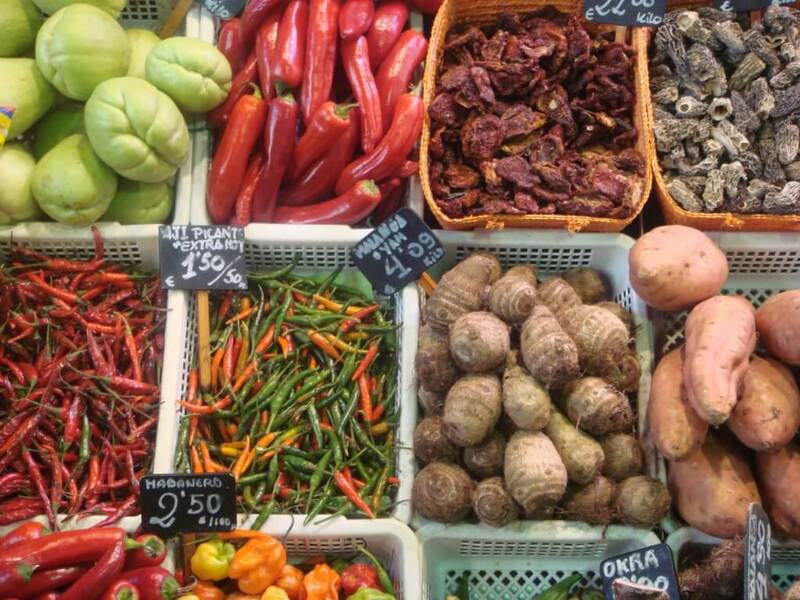 No other grocery shopping experience compares to the hustle and bustle of a local market, complete with colorful fruits and vegetables, the sound of bargaining locals and the smell of the freshest food you’ll ever find. Luckily, Barcelona has one of the best with La Boqueria, a sprawling indoor market located in the La Rambla quarter. “I had a great time exploring all the different types of foods and fruits,” said Chang. “I grabbed a mango and then went out and ate it on the beach and it was everything. Seriously, it was everything. Don’t miss it.” Pop in for a quick treat or to find some cheap souvenirs for your friends. Spend time exploring the stalls and maybe you’ll find the perfect item to remember your trip by.